Finally, the teaser of Urwa Hocane, Gohar Rasheed and Bilal Ashraf’s “Rangreza” is out. In the background, Abida Parveen is playing the song of the 40 second video in which the main cast of the upcoming movie is introduced. 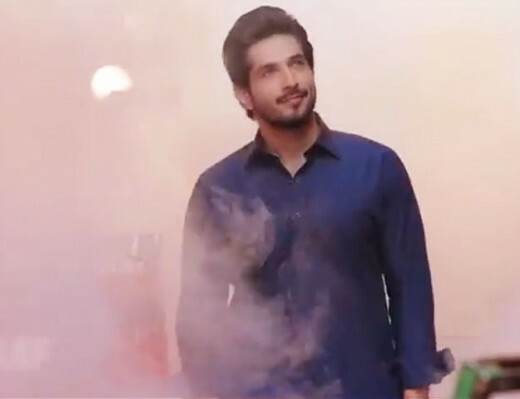 Bilal was seen entering while wearing a purple kurta while Gohar is shown in a very different style. Later, Urwa is shown while seems waiting for one of the two stars. Director Amir Mohiuddin earlier told that love story of this film revolves around the combination of modern pop music and classical qawwali. Gohar also told that the film is in fact a musical love story which is the first music love story in Pakistan after ‘Sargam’. The actor is showing the bad state of musicians in the country by playing the role of a qawwal. Rangreza is produced by Usman Malkani and Yasir Mohiuddin and written by Akhtar Qayyum while the film will be released on 21st December 2017.